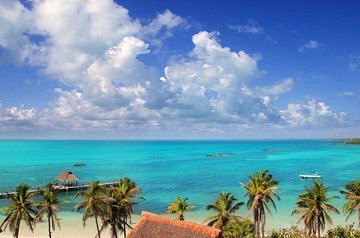 Combine visits to Contoy Island, a bird refuge; and Isla Mujeres on this full-day tour to the Mexican Caribbean from Playa del Carmen. Travel to Contoy Island via speedboat, then snorkel take an ecological tour of the island, and choose from some additional activities before lunch. Head to Isla Mujeres for free time on the beach and to explore the town. Lunch, snacks, and unlimited drinks provided.